"The History Ring of Carlow"
The History Ring of Carlow"
Michael Purcell with Ken Tucker of Dolmen Jewellers and Douglas Jewellers presented the gold pendant to Ally Bunbury, wife of the author and historian, Turtle Bunbury of Lisnavagh, Co. Carlow, in recognition of the fact that Turtle has worked tirelessly in preserving and promoting Irish and Carlow heritage. 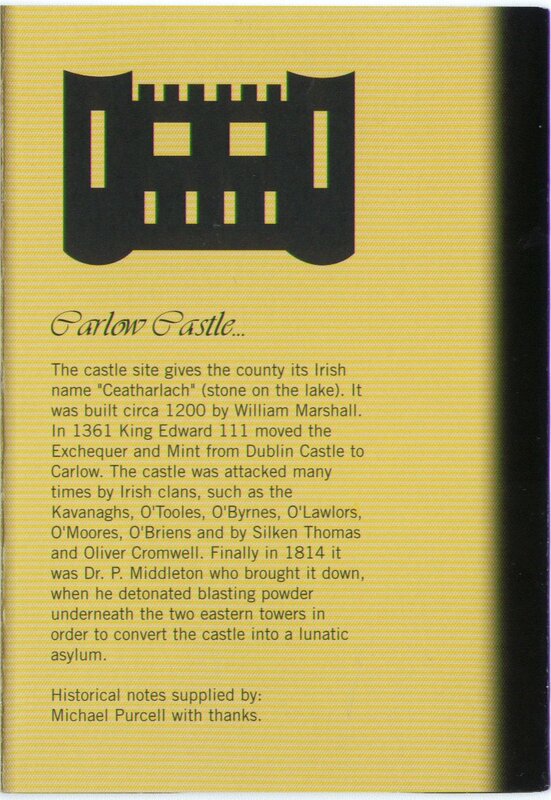 Having launched an iconic ring that depicts Carlow’s long and illustrious history - local historian, Michael Purcell, recently announced details of a full range of beautiful jewellery products that also features the county. Three years ago, Carlow was the first county to have its history told on a single piece of Jewellery, a ring, with eight selected landmarks etched in gold. Such was the popularity of the ring, Michael, along with Douglas Jewellers have brought out a full range of products. These include a pendant, bracelet and necklace and are available in silver and gold. The idea behind the beautiful pieces is to promote the history of the county and to raise awareness of its need for a county archive. Last week, Michael presented a pendant to Ally Bunbury, wife of local author, Turtle Bunbury. 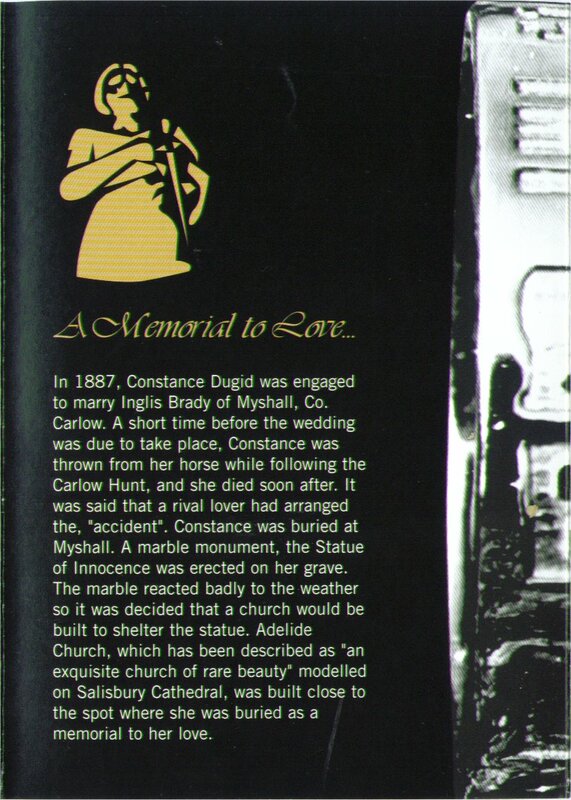 The presentation was made in recognition of the Bunbury’s work in preserving Carlow’s history. Turtle’s most recent book, Vanishing Ireland was a sellout success and documents the country’s fast-disappearing traditions. Contact: T: 059 9131254. F: 0599131254. 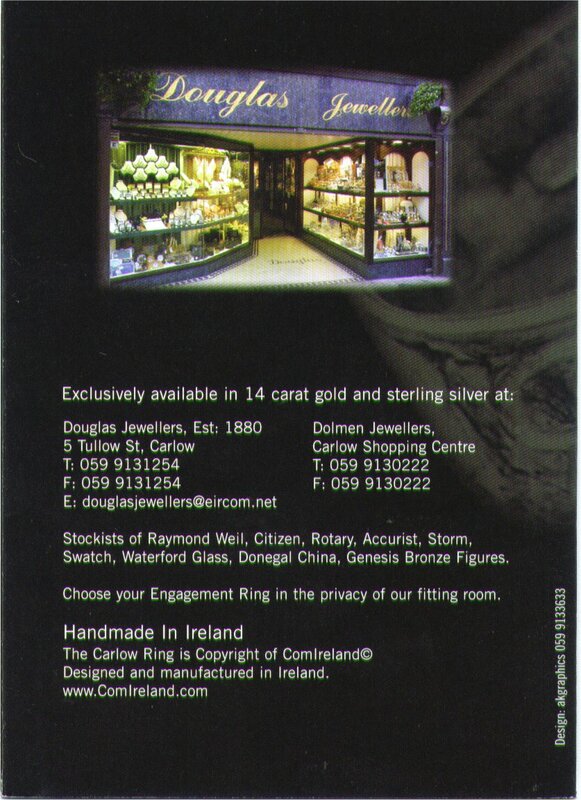 Dolmen Jewellers of Carlow Shopping Centre. 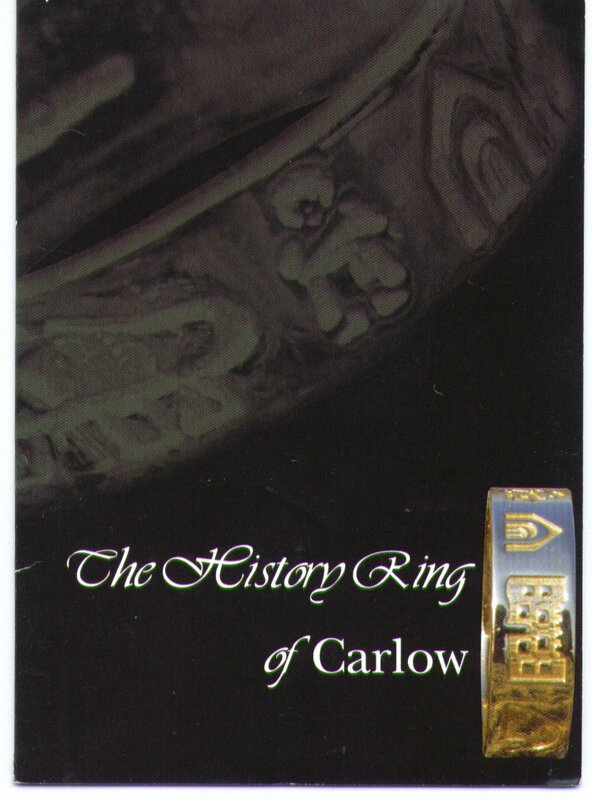 The unique History Ring of Carlow, which was launched in 2003 now has several companions for fans to collect. The range has been extended to include a bracelet, necklace and pendant. 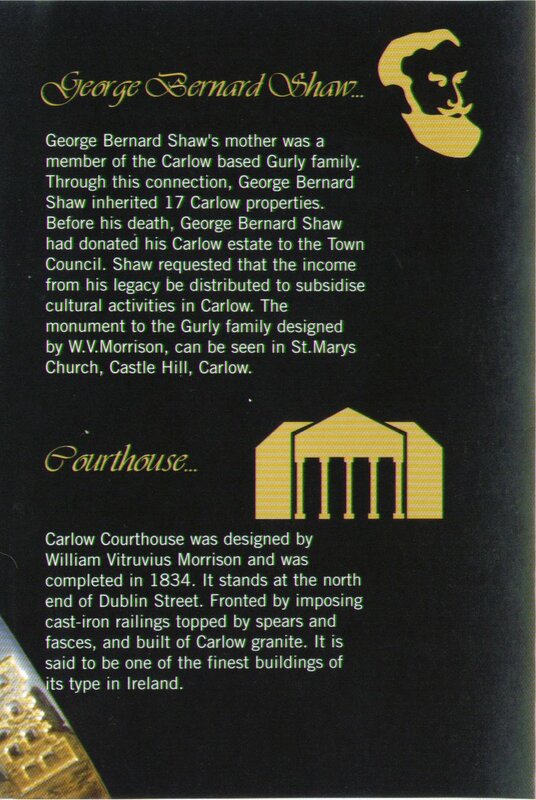 The original ring was designed by local historian Michael Purcell who incorporated eight iconic Carlow landmarks into the piece. 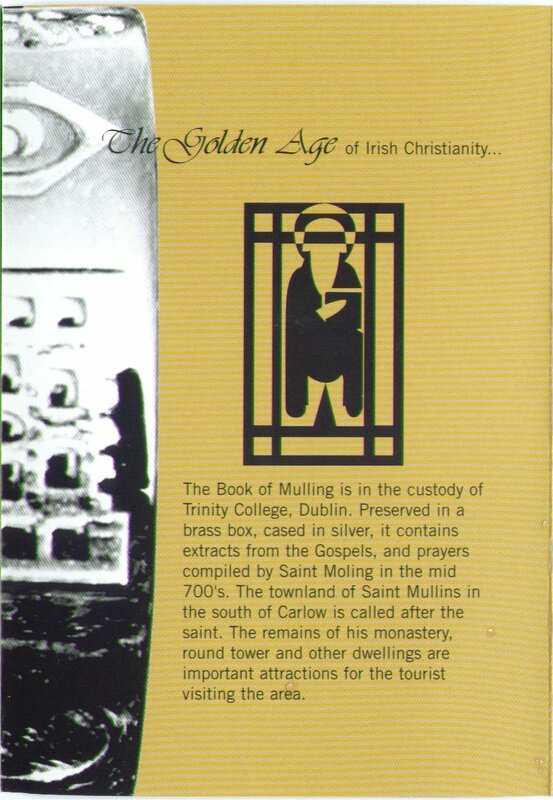 The Dolmen, Killeshin Church, The Liberty Tree, The Courthouse, George Bernard Shaw, Carlow Castle, The Golden Age of Christianity and a Memorial to Love are now engraved on the beautiful bracelet, pendant and necklace which can be bought in 14 carat gold and sterling silver. 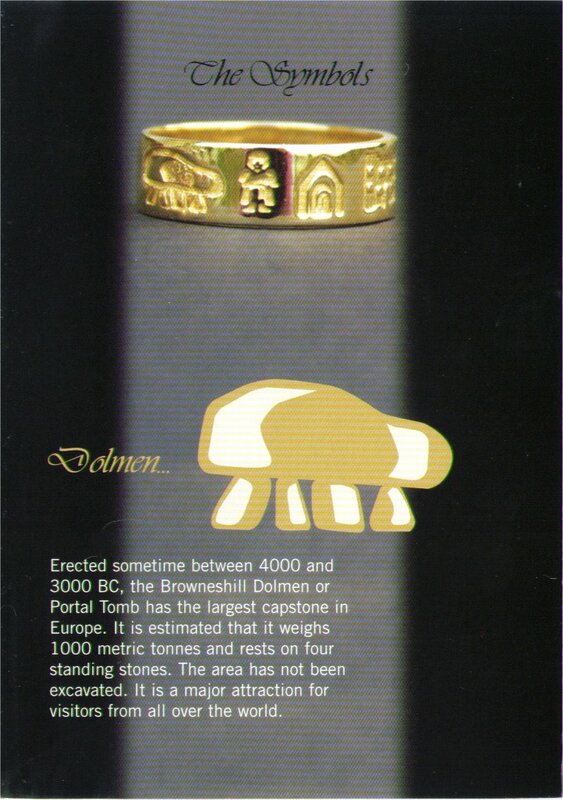 The decision to extend the range was taken several months ago after the unparalleled popularity of the ring, which can only be bought in Dolmen and Douglas Jewellers in Carlow Town and blesses the wearer with a strong link to their Carlow roots. 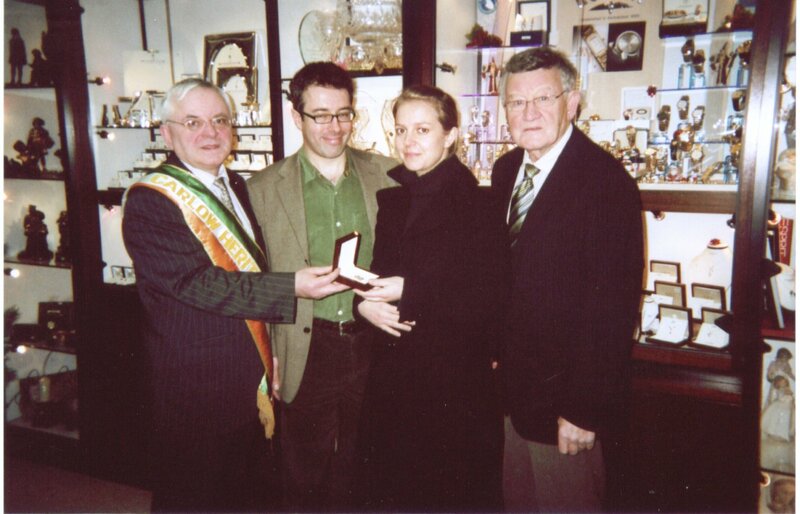 Designer Michael Purcell presented the gold pendant to Ally Bunbury, wife of local author and historian, Turtle Bunbury of Lisnavagh, Co. Carlow in recognition of the fact that Turtle has worked tirelessly in preserving and promoting Irish and Carlow heritage. Michael says that Turtle is fast emerging as one of our leading writers. Over the past two years he has published four books with his present book sold out after being in the bestseller lists since its launch in October. The stunning new jewellery range is sure to be an unrivalled success with its gorgeous features and monumental historic references. 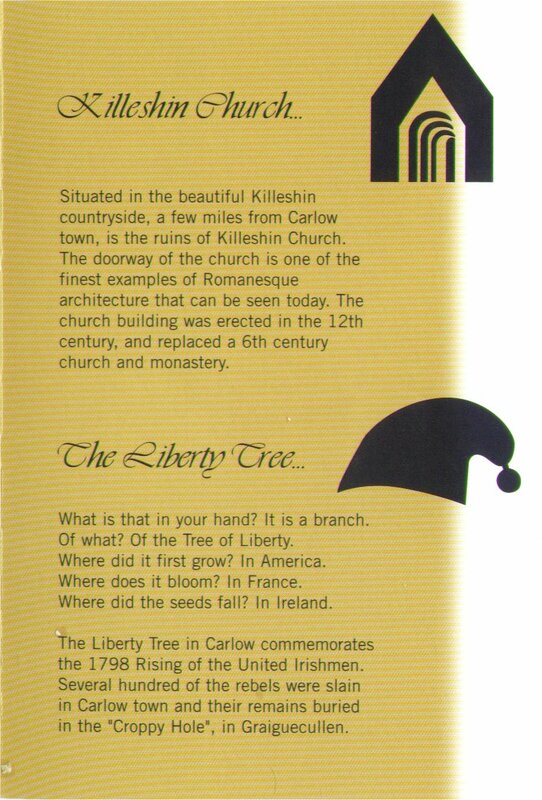 Carlow Nationalist Jan 12 2007 'Around Carlow Town' by Mairéad Wilmot.